Progetto Futuro Bonsai School in Bologna, Italy. 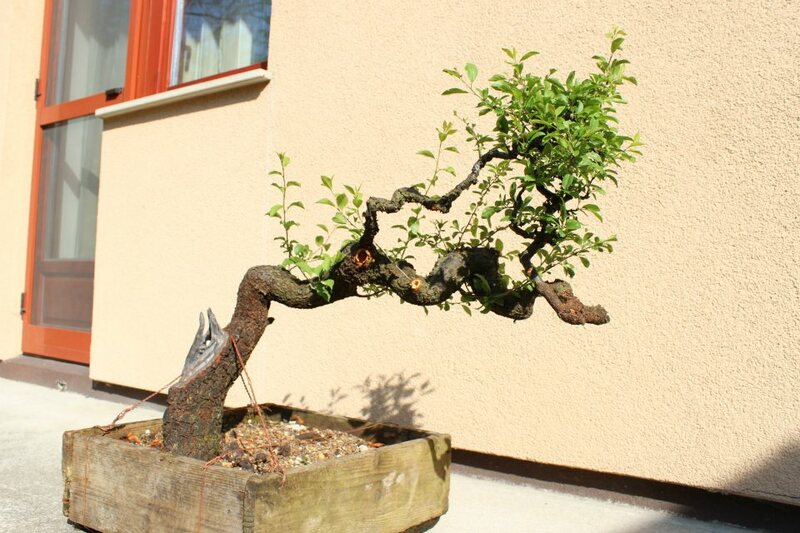 It was great fun working with the guys in the sunshine and doing some preparatory work on the yamadori trees that was selling at the EBA event in Ljubljana here is a Prunus Spinosa that I worked. The trunk split into two about 20cm from the base, one trunk having wonderful movement and the other none whatsoever! After removing the offending trunk I set about creating a deadwood area as natural appearing as possible. 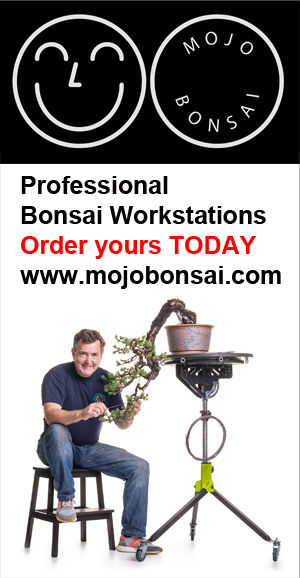 Prunus Spinosa are becoming very popular with Bonsai artists throughout Europe as they are easy to work, display beautiful small white flowers in Spring and create good branch ramification quickly. The tree is now in the ownership of Hungarian artist Sándor Papp who I am confident will create an amazing literati Bonsai from this tree.